a weekly subscription broadcast of a remake of the track 1999 by Prince mixed by the prince cast generator. The prince Cast Generator is a configuration of various music gear from key years related to Prince's ouvre “1999”. Acting as the master clock is Prince's new album “Planet Earth” referred to here as “3121” . "3121" has a running time of 45 min divided between 10 tracks, which controls via, tape sync the master bpm and playback of the midi track 1999 stored on the MSQ 700. The midi track runs on a loop throughout the 45min, subtle changes in tempo and pitch occur accordingly to the "3121" sound/frequency spectrum, thus producing 10 “acts” with changes relating to the song structure. 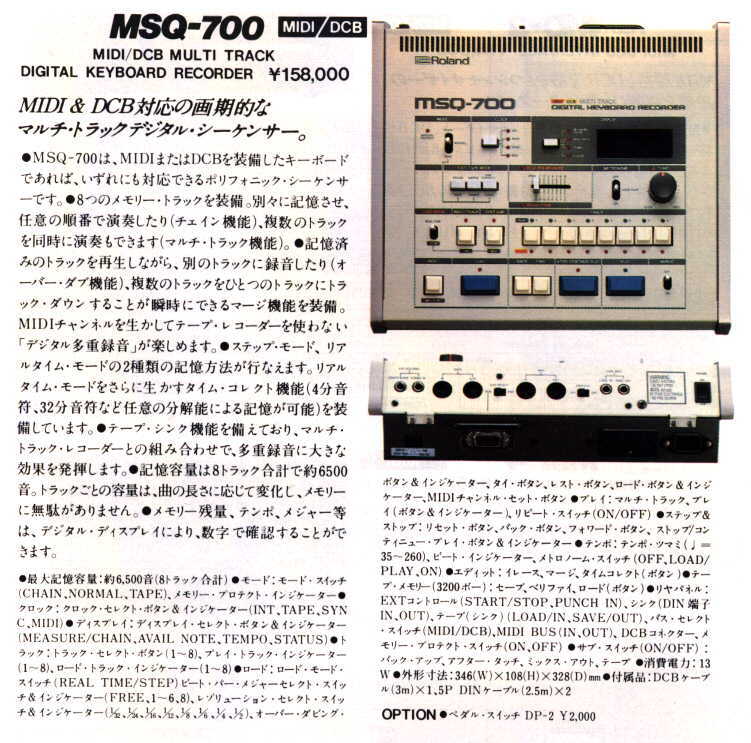 The sounds are being produced through the midi signals received from the MSQ 700 in the various machines configured by the Prince Maker. The Prince Maker is invited to add their particular interpretations of the 1999 track to the Prince Cast Generator in whatever format suitable t i.e. sound files, midi files, midi/din sync /tape sync gear, software presets/files, web links any other suggestions to this list are much appreciated. These sets of contributions will be archived and available here on the web site of the Prince Cast [look in "Prince Makers"]. Once a week a new 45 min episode will be mixed by a Prince Maker through a configuration of the Prince Cast Generator, these will be available through the Prince Cast which you can subscribe to through this website [look in "Prince Cast weekly"]. Prince cast weekly [itunes] takes you directly to ... itunes ! Prince cast weekly [RSS] the link to paste into any player ! Prince cast weekly [google reader] for your google page !